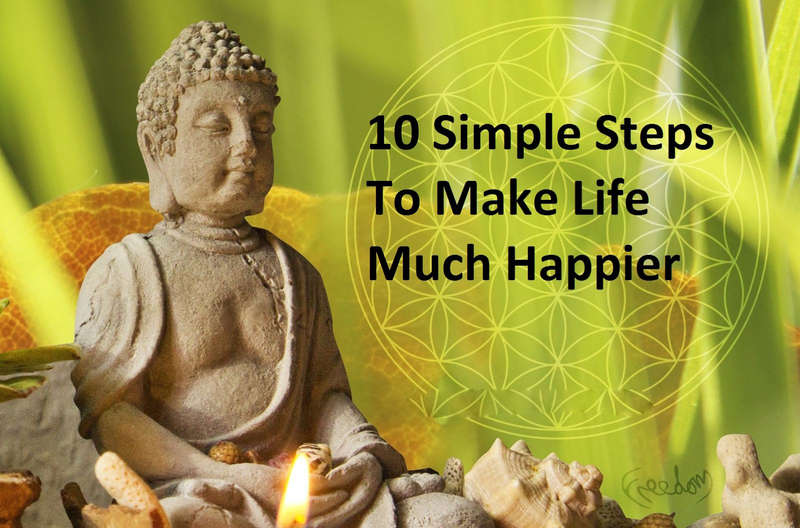 Follow these 10 steps—an easy acronym, GREAT DREAM—to sprinkle some happy into your life and the lives of others. Caring about others is fundamental to our happiness. Helping other people is not only good for them and a great thing to do, but it also makes us happier and healthier, too. Giving also creates stronger connections between people and helps to build a happier society for everyone. And it’s not all about money—we can also give our time, ideas and energy. So if you want to feel good, do good! What are your most important goals? Relationships are the most important overall contributor to happiness. People with strong and broad social relationships are happier, healthier and live longer. Close relationships with family and friends provide love, meaning and support, and increase our feelings of self-worth. Broader networks bring a sense of belonging. So taking action to strengthen our relationships and create new connections is essential for happiness. Who matters most to you? Our body and our mind are connected. Being active makes us happier as well as being good for our physical health. It instantly improves our mood and can even lift us out of a depression. We don’t all need to run marathons; there are simple things we can all do to be more active each day. We can also boost our well-being by unplugging from technology, getting outside and making sure we get enough sleep! How do you stay active and healthy? Notice the world around you. Ever felt that there must be more to life? Well, good news, there is! And it’s right here in front of us. We just need to stop and take notice. Learning to be more mindful and aware can do wonders for our well-being in all areas of life—like our walk to work, the way we eat or our relationships. It helps us get in tune with our feelings and stops us dwelling on the past or worrying about the future, so we get more out of the day-to-day. When do you stop and take notice? Learning affects our well-being in lots of positive ways. It exposes us to new ideas and helps us stay curious and engaged. It also gives us a sense of accomplishment and helps boost our self-confidence and resilience. There are many ways to learn new things—not just through formal qualifications. We can share a skill with friends, join a club, learn to sing, play a new sport and so much more. Have goals to look forward to. Feeling good about the future is important for our happiness. We all need goals to motivate us, and these need to be challenging enough to excite us, but also achievable. If we try to attempt the impossible, it brings unnecessary stress. Choosing ambitious but realistic goals gives our lives direction and brings a sense of accomplishment and satisfaction when we achieve them. Find ways to bounce back. All of us have times of stress, loss, failure or trauma in our lives. But how we respond to these has a big impact on our well-being. We often cannot choose what happens to us, but we can choose our own attitude to what happens. In practice it’s not always easy, but one of the most exciting findings from recent research is that resilience, like many other life skills, can be learned. How do you bounce back in tough times? Positive emotions—such as joy, gratitude, contentment, inspiration and pride—are not just great at the time. Recent research shows that regularly experiencing them creates an “upward spiral,” helping to build our resources. So although we need to be realistic about life’s ups and downs, it helps to focus on the good aspects of any situation—the glass half-full rather than the glass half-empty. What are you feeling good about? No one’s perfect. But so often we compare our insides to other people’s outsides. Dwelling on our flaws—what we’re not rather than what we’ve got—makes it much harder to be happy. Learning to accept ourselves, warts and all, and being kinder to ourselves when things go wrong increases our enjoyment of life, our resilience and our well-being. It also helps us accept others as they are. What is the real you like?